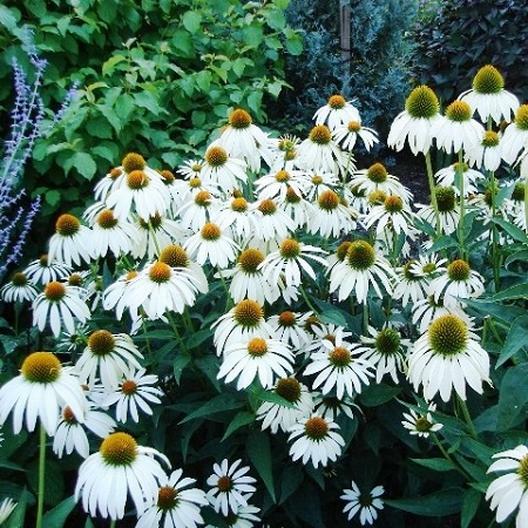 Beautiful and graceful, this white version of the popular wildflower Echinacea, or Cone Flower, is sure to make its mark in your Summer wildflower garden! Large blooms, up to 4 inches in some cases, bloom abundantly mid season and attract songbirds and butterflies to your garden! Plant in full sun, with well draining soils. Keep moist when starting, but once established this variety is particularly drought resistant.